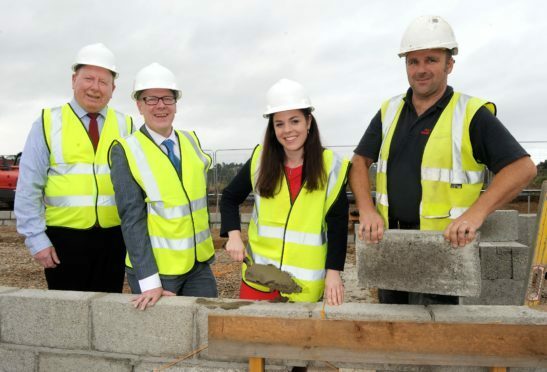 Scottish housing minister Kevin Stewart visited two projects by the Lochalsh and Skye Housing Association (LSHA) with LSHA's Lachie MacDonald, Kate Forbes MSP and a builder at the site. Picture by Sandy McCook. Kevin Stewart, the Scottish Government’s minister for housing, local government and planning, visited two affordable home projects in Skye and Lochalsh yesterday, as local leaders address the need for more homes in rural communities. Mr Stewart was invited by constituency MSP Kate Forbes who has long supported the calls from her constituents for more affordable housing. 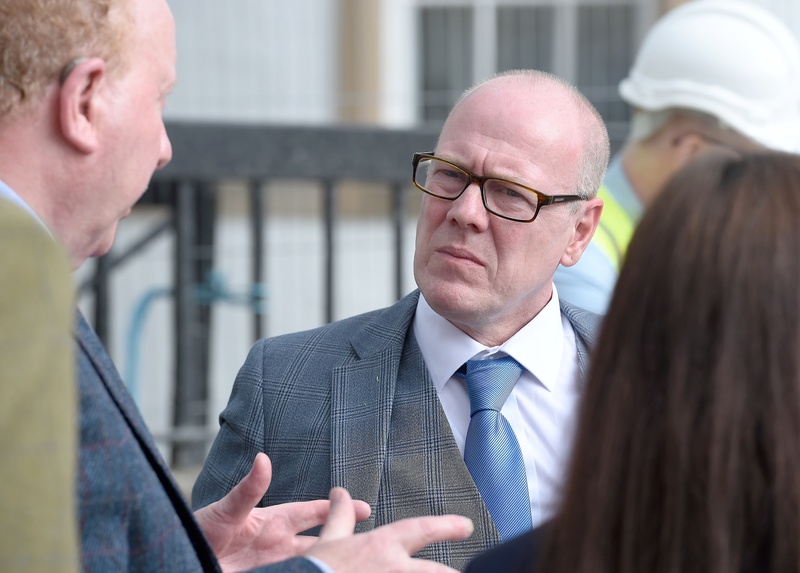 Mr Stewart said: “The Scottish Government’s affordable housing programme is the biggest housing programme for decades, with over £3 billion worth of investment for 50,000 affordable homes. 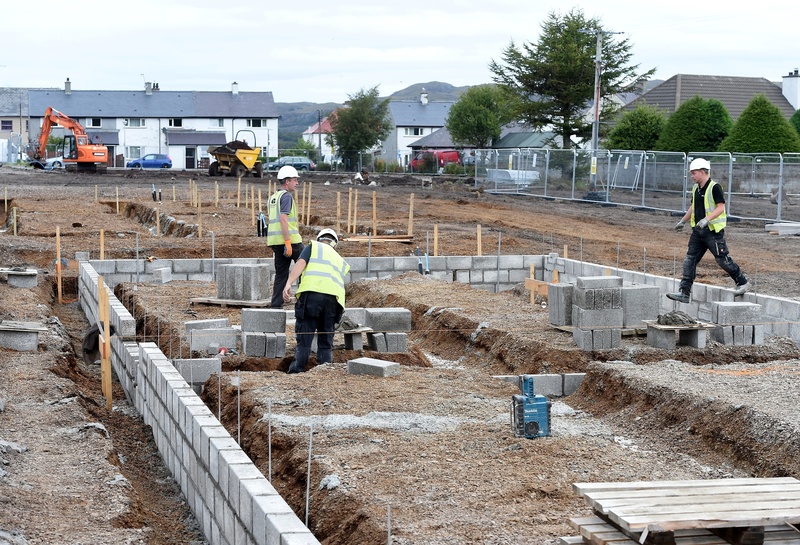 “I am very pleased that Lochalsh and Skye Housing Association themselves have come up with a fairly substantial programme to deal with the need that there is in this area. 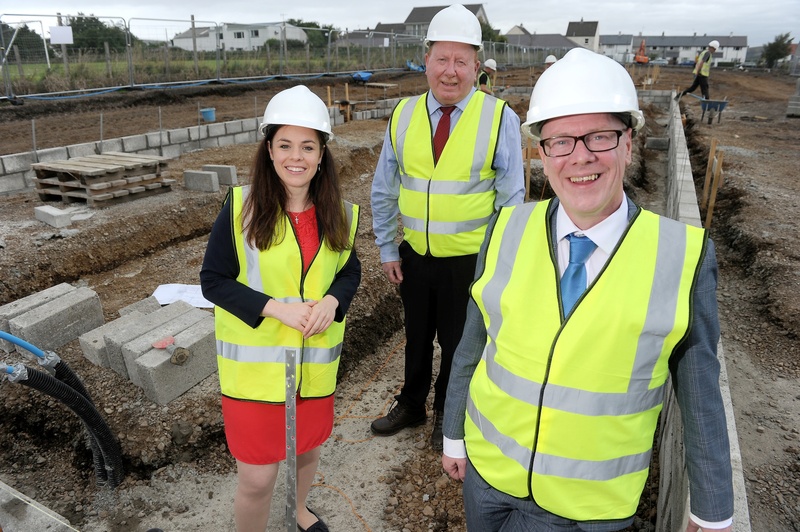 The minister’s visit comes after health chiefs claimed in January that recruitment for posts was becoming overly difficult amid a shortage of affordable housing in the area. Mr Stewart and Ms Forbes met with representatives from the Lochalsh and Skye Housing Association (LSHA) at one of the association’s affordable housing projects in the Birches area of Kyleakin. The project will see 18 new homes, of which 14 are affordable, delivered to the island village. A slightly smaller developemt is under way in Kyle, with 13 homes at the site of a former local shop on Main Street. Lachie MacDonald, chief executive of LSHA, said: “Our programme intends to spend around £25 million over a five year period and we are around a third of the way in. That gives us nearly 200 units so it’s been a fantastic, one-off, opportunity to make a huge difference. In 2017 figures revealed 81 people on Skye were registered as homeless from April to December. 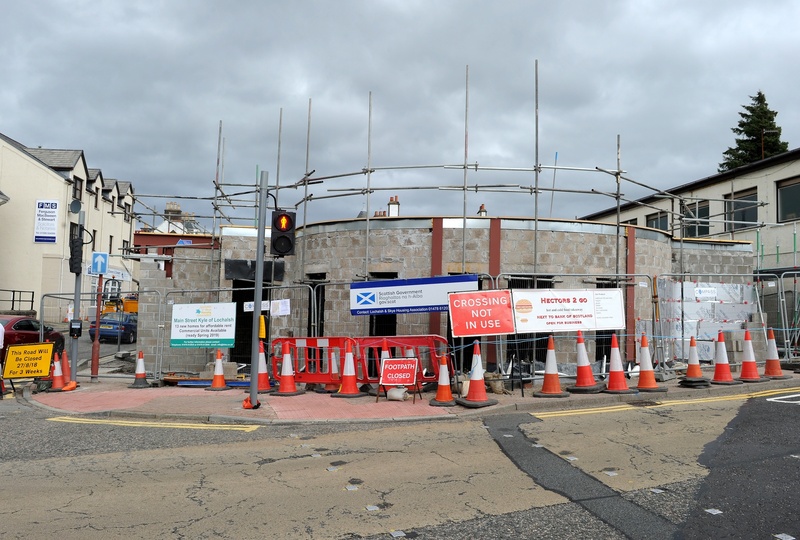 Kate Forbes MSP said: “We are at a real turning point when it comes to housing. I am passionate about enabling people who want to come and work here to be able to do so, yet I know full fine and well that housing is often the biggest struggle for people. “A house is a symbol for me of something much bigger and it’s a symbol of reversing that trend of depopulation the Highlands. “Whilst we need business opportunities and jobs, all of that is irrelevant without somewhere to live and stay. “For me, it’s a symbol of enabling young people to stay in the Highlands.